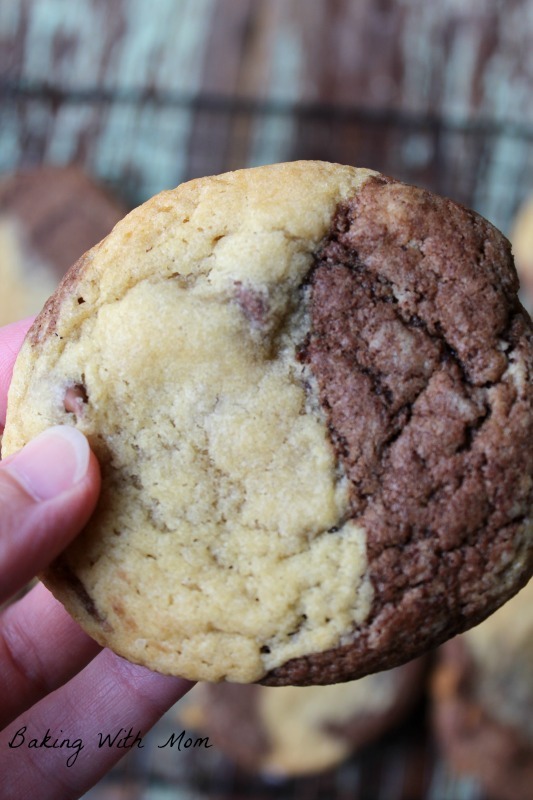 Chocolate Swirl Cookies starts with a cookie dough recipe. Easy as 1-2-3, these cookies will be in the oven and melting in your mouth in no time! Yes, I enjoy cookies. I enjoy all types of cookies and all shapes of cookies. I even enjoy a bad cookie. Chocolate swirl cookies starts with a basic cookie dough recipe. I use the cookie dough recipe often, as it is my go to recipe when I need to bring something to a potluck or family gathering. I try to bring unique items to such gatherings, but as you can imagine, sometimes we just need a golden oldie because we are too busy to try anything new. 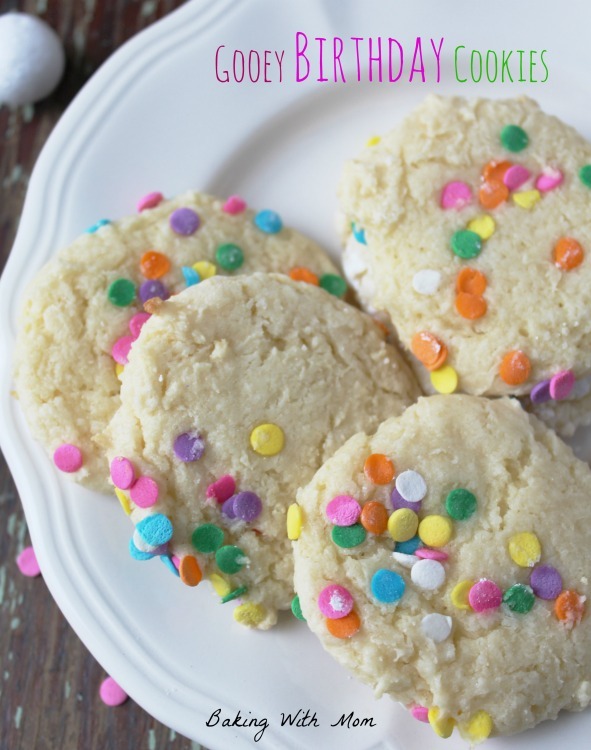 As my children and hubby tell me, “It is your classic cookie recipe.” It really is. When whipping some chocolate chip cookies up the other day, I wanted to try something new. I often had wondered what would happen to the cookie recipe if I added chocolate to the batter, but I had never tried it. Certainly adding chocolate to the batter would get a chocolate cookie, however I wanted a little more oomph then just chocolate. I know, what if I only put chocolate in half the batter and left the other half a chocolate chip cookie? What would happen then? Well, as I discovered, I got chocolate swirl cookies. Simply ingenious, I tell you. Well, maybe it doesn’t rank up there like putting a man on the moon or the invention of disposable diapers, but hey, I gotta start somewhere, you know? You know. You get me. Swirling the chocolate with the normal cookie was easy. I simply divided the batter in half and added the baking cocoa to one of the halves. I then rolled the cookies into balls and then rolled the chocolate and plain balls together. Then you get a swirl. Easy peasy. 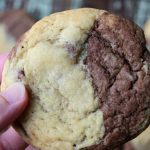 Chocolate Swirl Cookies are a blend of chocolate, chocolate chip which make a delicious, soft and moist cookie.